Confessions of a YarnAddict: Why I'm passionate about essential oils! Why I'm passionate about essential oils! If you've been reading my blog recently or you follow me on social media, you may have noticed I've become obsessed with essential oils. When I started using essential oils last summer, I hoped the oils would help me sleep better and give me more energy and motivation. I started off with just a couple of oils and quickly noticed how potent the were so I ordered more and gradually started using them for more and more health issues. I suffer from chronic pain in my neck, shoulders and upper back as well as an auto-immune underactive thyroid condition and chronic vitamin D deficiency and since August I've struggled with a painful, sore and stiff knee. I was taking a lot of painkillers including Co-codamol and Tramadol which are two drugs that doctors here in the UK are trying to get patients off. I've had several doctors ask me to cut back on pain killers in the last two years. I was taking the maximum eight per day of each. If I woke up in pain in the night and couldn't get back to sleep I'd take 1-2 more of each. So I was frequently over-dosing. Every time I tried to cut down I'd go back to full dose after a few days. 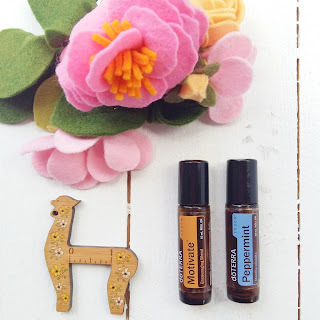 I started using some essential oils for the neck/shoulder pain. I wrote a blog post a few months ago about which oils I was using in my pain blend. Recently I've played around with some other oils. My most recent roller blend is 20 drops Deep Blue, 20 drops Aromatouch, 20 drops Peppermint and 20 drops Wintergreen. 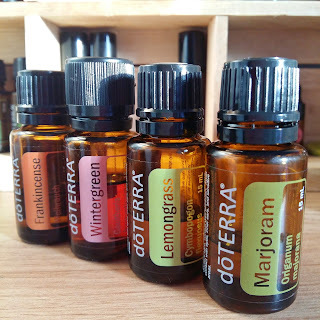 I mixed these oils with fractionated coconut oil in a 10ml roller bottle. It works just as well as my original pain blend. Last September I started taking the Life Long Vitality (LLV) supplements. Since then I've added Deep Blue Polyphenol Complex and in the last week I've added DDR Prime Cellular Complex. Many chronic pain sufferers say that LLV really helps to manage their pain, helps them sleep better and give them more energy. And yes I'm sleeping better, I've got a lot more energy, I recover from busy days like when I've taught knitting workshops and been travelling a lot quicker. In November I ran out of LLV and took half dose for a week then didn't take it at all for two weeks. I noticed a big difference. I was in more pain after teaching a knitting workshop and it took me longer to recover. I didn't sleep as well and I had less energy. After starting to take the LLV supplements again, I felt much better. I've had a busy few days with a knitting workshop last Saturday, driving Emily back to Cardiff on Sunday (Simon did most of the driving) which was an all day trip, working all day on Monday and yesterday I was teaching a knitting workshop again. At lunchtime yesterday my knee suddenly got very painful especially when I was walking. I drove halfway home, picked Simon up from work and then we had to do an hour de-tour due to a serious accident. It took us two hours to get home. I was really tired, my neck and shoulders were hurting, I had a headache and my knee was really painful. I did a bit of knitting before having an early night. I applied my pain blend and Deep Blue Rub to my neck, shoulders and knee before I went to bed. I put a couple of drops of Serenity (restful blend which is good for sleep) and Cedarwood on my pillow and applied my sleep blend to the bottoms of my feet which I do every night. I slept like a log till 4am and then woke up with a really sore shoulder (think I'd slept too long on that side), painful knee and sore neck. I applied my pain blend to my neck and knee and tried to get back to sleep. I drifted off for a bit till my alarm went off at 6am. As soon as I got downstairs I put Peppermint, Wild Orange and Citrus Bliss in the diffuser to wake me up. After knitting for a while I had my breakfast shake and did my 20 minute cycle workout, showered and got ready for work. I've had a busy day working in the office and taking breaks to knit and at 3pm I just realised how much less pain I'm in and how much energy I have had today. I'm not as tired as I thought I'd be. I usually start to feel tired mid-afternoon. It's all down to the essential oils and the supplements I use. They really do make a difference, give me more energy and help me to recover more quickly when I have a bad day. I still get days when I'm in pain and have no energy and nights when I sleep badly but I recover quicker from those days. 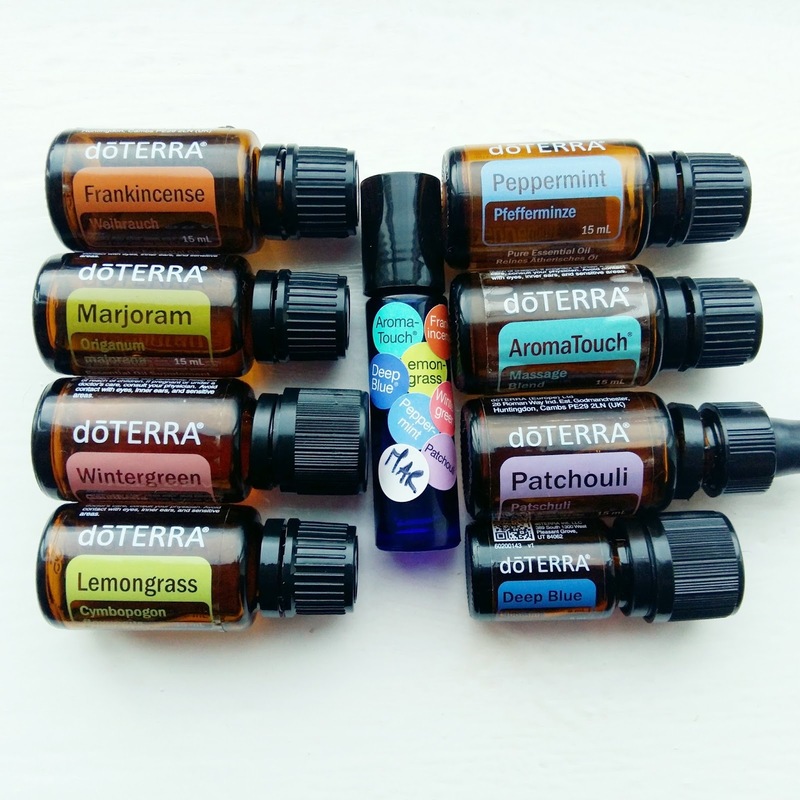 I decided to become a DoTerra Wellness Advocate because these oils have changed my life and I want you to know how amazing these oils and other DoTerra products are and that they can help you with your health issues. You may not have chronic pain or other chronic health conditions but I bet your kids pick up one bug after the other, or you catch colds and other illnesses. Perhaps you suffer from digestive or respiratory issues. Essential oils can help you but you need to use quality oils. Many over the counter oils, even those labelled as pure, may not be pure. They can have as little as 30% essential oil and added pesticides, contaminants and fillers. Even if they are 100% pure, what's the quality like? Are the plants grown in conditions where they produce the highest quality oils? Do they undergo thorough testing including third party testing? How do you even know what kind of testing they go through? Do the farmers get paid properly? Or are the oils sold to a middle man who then sell them on to the essential oil companies for a massive profit while the farmers struggle to survive? 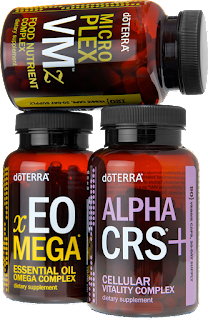 DoTerra guarantees the purity and quality of their oils. The oils undergo thorough testing including third party and you can check the testing results (look at the batch number underneath the bottle, go to Source To You and type in the number to see the test results for that batch). DoTerra invented Co-Impact Sourcing to ensure that the farmers got paid well. They work with farmers and growers to create co-ops and in poorer countries they work with communities to provide health care and schools. They teach the farmers and growers how to grow the plants to achieve the highest quality oils. Plants are grown in their native countries. If there's a danger of a plant becoming extinct or if they cannot guarantee the supply of high quality oils then they stop producing that oil. Recently DoTerra stopped selling White Fir for this reason. Fortunately they got an even better oil, Siberian Fir. This is why I'm so passionate about DoTerra. To get the best prices you need to sign up for a wholesale membership. You pay a small membership fee (which is included in the enrollment kits) and get 25% off retail price for a year. If you opt to order via the Loyalty Reward Programme (LRP) you earn points back which you can spend on products of your choice. You start earning 10% back and that increases by 5% every three months till you get to 30% after a year. You don't have to order every month, you're not tried in to a regular order. You don't have to sell oils. You just order what you want to, when you want to. If you decide, like I did, that you'd like to tell your friends about the oils and earn some more free oils or a bit of extra cash, you don't have to buy an expensive 'consultant kit' or keep stock at your house. Your customers sign up for their own account, order their own products and you get paid a generous commission. If you're interested in this opportunity, e-mail me on annikenallis25@gmail.com. 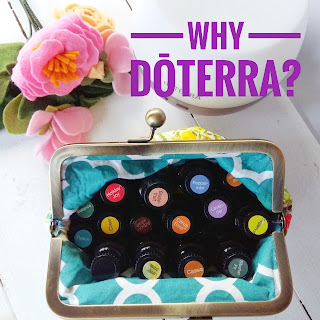 DoTerra has a 68% retention rate (that means 68% of customers re-order - the direct selling industry average is 10%) and has over 5 million customers worldwide. Do you want to become part of the DoTerra movement? You can join my team here - it doesn't matter where in the world you live, your order will ship from your local warehouse. In addition to the awesome products you will get a welcome pack from me, my support and education as well as membership of our team Facebook group for more support and education. I want to make sure you know how to use your oils and get the most out of them. You can join here or e-mail me if you'd like to talk first. I'm happy to send you some samples or talk through your options and which enrollment kit best suits your needs. E-mail me on annikenallis25@gmail.com and put 'essential oils' in the subject line.